Homeowners in Collin County use the professional lawn care services of Texas Lawnscapes to improve and maintain their lawn and landscape. Our lawn care services include weekly lawn mowing, fertilization, weed control and much more. Most services do not require a contract and you are able to pay as you go. Our residential lawn care services take the hassle out of lawn work. As a result, customers are able to relax and enjoy more of their free time. We take on the recurring chores that normally eat away your evenings and weekends. We provide lawn care services in a timely manner. Our crews arrive when scheduled. No need to pay at the time of the service. We send invoices at the end of each month. We possess the knowledge to do the more difficult tasks. For example, tree trimming and shrub trimming the wrong way can ruin a landscape. It doesn’t always grow back! Our eye for detail and thoughtful execution guarantees your lawn and landscape grow the correct way. Nobody likes to clean up, especially in the hot summer sun. Our clean up after service is thorough and complete, leaving your property looking the way it should. What Are The Most Popular Lawn Care Services? In Mckinney, our most popular lawn care service is our all in one fertilization, weed control and grub prevention program. Our licensed technicians apply industry leading products at exactly the correct rate. Each visit includes your periodic lawn assessment, product application and suggestions for improvement. We provide watering recommendations freely and irrigation audits are common. Our program includes 8 applications per calendar year. Our second most popular lawn care service is lawn mowing. We provide weekly service for best results. 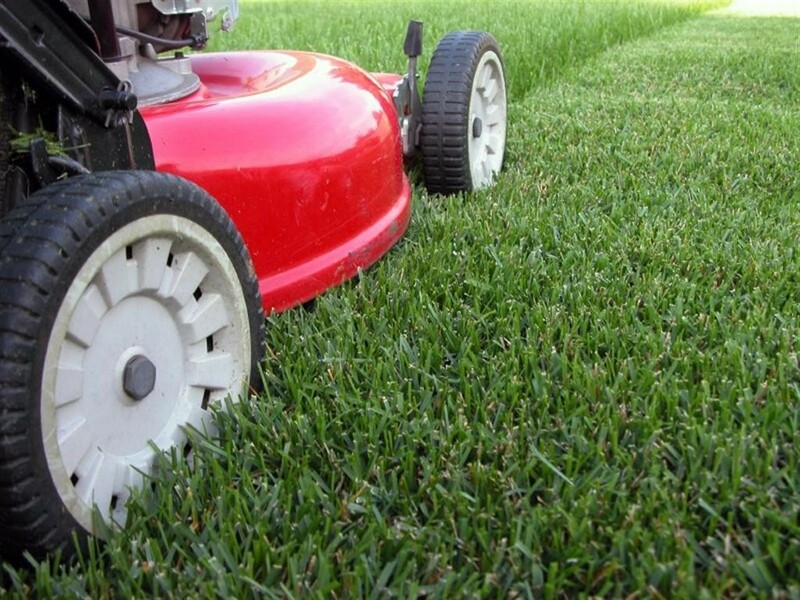 Each service includes lawn mowing, blade edging, line trimming and blowing. We purchase new professional commercial grade equipment every year. Therefore, the quality of the cut and clean up is top notch. Grass grows best when treated the best. We sharpen our blades three times per week so the grass cuts cleanly and is not left with a torn edge. We prefer blade edgers for a deep, functional edge. Why Choose Local Lawn Care Services? If you live in Mckinney or the surrounding cities, using Texas Lawnscapes as your lawn care service provider benefits your city greatly. We employ local men and women. Consequently, wages made go back into the local community. We generate tens of thousands of dollars of sales tax revenue for the community. We are extremely responsive to the needs of our local customers. Service calls and appointments are easily accommodated without scheduling several days in advance. As a result, our attention to any matter is quick. Our results are most effective. Choose local. Call us now! 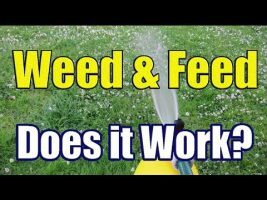 Weed and feed for lawns in McKinney, TX is different than what you might think. Chances are, you have heard the term weed and feed before. You see commercials and hear radio advertisements from the big box stores telling you to buy their all in one lawn care products. That clever sounding Scotsman telling your to feed your lawn, feed it! Convenience is what the are selling. A two in one granular product, with the claim of killing all of your weeds and feeding your lawn at the same time. Magic in a bag perhaps. An expensive bag nonetheless. Do not be fooled. Read on. One Product, One Application Can Kill All Weeds? Weed and feed for lawns in McKinney, TX requires an variety of herbicides. All in one weed and feed products rely on one or two herbicides to control all weed types. Therefore, weed control is less effective. Repeat applications are ineffective. Instead, our customers enjoy our more precise approach to weed control. We carry several specialty herbicides, each with a specific weed type or target. We can and will target nutsedge, dallisgrass, crabgrass and clover. 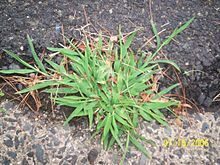 If The Weeds Don’t Die, What Happens? They get bigger. A poorly timed application of an all in one store bought weed and feed product can actually make your weeds bigger. If applied to soon, when temperatures are cool, the weed control is less effective. The weeds, instead, get a feeding from the fertilizer and grow. And then you have a bigger problem than before. Our service relies on soil temperature and real time information to determine proper application rates and timing. We get it right every time! Enough About Weed Control, What About the Feeding? Our program focuses on a high nitrogen slow-release fertilizer to feed your lawn. Our fertilizer is not mixed with herbicide or any other product that disrupts application rates. By applying fertilizer separately from herbicide, we control the application rates with precision. Feeding your lawn essential nutrients to promote maximum green. Store bought all in one products require higher application rates in order to perform two functions are once. Too often, homeowners over apply and burn their lawn. Product settling during production and shipping also effect application rates, leading o uneven feeding and herbicide overdose. Let us feed your lawn with the good stuff! Core aeration effectively delivers more oxygen to the lawn’s root system. As a result, the root system drives deeper into the soil to promote better establishment and vitality of the lawn. This, combined with proper watering, fertilization and weed control, allows your lawn to be the best it can be. Call us and request a quote. We will provide you with a price immediately. We use commercial grade core aeration machines. Each machine has numerous 4 inch hollow tines. As as result, each tine removes a plug of lawn as the machine rolls forward. To avoid a section of the lawn being missed, we overlap each pass. We allow the plugs to lay on your lawn to break down naturally and return to the soil top dressing. How often does core aeration need to be done? We recommend once per year for the average residential lawn. If lawns are subject to heavy traffic or have a considerable amount of thatch, we recommend it more often. For example, a homeowner’s lawn around their child’s play set is subject to compaction from the heavy traffic. A sports field is also subject to heavy traffic and increased soil compaction. For warm season grasses such as bermudagrass, zoysiagrass and st. augustine should be aerated in late spring or early summer, when the grass is actively growing. This applies to our lawns here in Mckinney, Frisco, Plano, Allen, Melissa, etc. We recommend avoiding aeration practices when these warm season grasses are still dormant to avoid the promotion of unwanted weed growth. For cool season grasses such as fescue and rye varieties, we recommend a fall aeration prior to the annual over-seeding process. As a result, some of the seeds to get down into the soil where they can germinate and grow deeper roots. What is the easiest was to aerate your lawn? Call Texas Lawnscapes at 972-872-5042 or fill out an estimate request on our website and we will respond quickly. 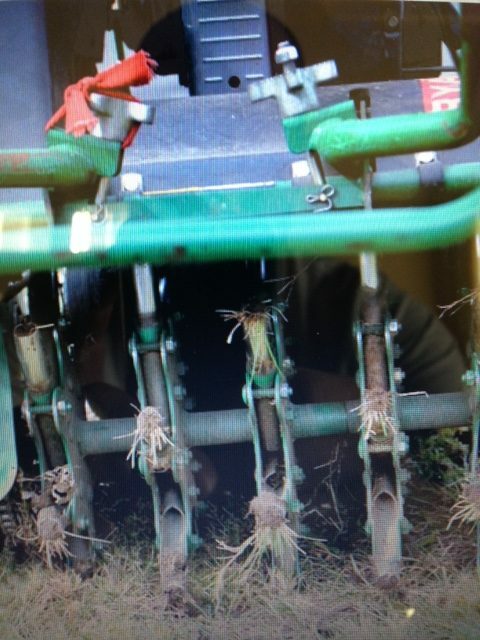 Save yourself the time and money of having to rent an aeration machine. Most often, we can perform the service for less than the cost of the rental, and you won’t have to lift a finger! What is lawn mowing in Mckinney, TX? Our most popular service is lawn mowing in Mckinney, TX. We are professional. We are punctual. Our uniformed and trained crews will provide the best lawn mowing in Mckinney, TX, hands down. As a result, you will enjoy a manicured lawn throughout the entire growing season. We buy brand new commercial grade lawn mowers and hand held equipment every year. We will mow the lawn, edge with a blade, and trim around all fences and foundations. In addition, we will blow all concrete areas clean. This will result in fantastic curb appeal for you and your neighbors to enjoy all season long. For more information about lawn mowing and basic lawn care practices in Texas, please visit http://aggie-horticulture.tamu.edu/travis/wp-content/uploads/2013/06/Simple_Steps_Lawn_Care_2009.pdf. Weekly vs. bi-weekly lawn mowing? Lawn mowing in Mckinney, TX should be done on a weekly basis during the growing season. We will recommend a weekly lawn mowing service for best results. Some customers need a more economical approach to lawn mowing. Therefore, we offer a bi-weekly mowing schedule at the beginning and end of each season. During the months of June through September, when the grass is growing fast, all customers will enjoy a weekly schedule. Most modern day lawn mowing machines have the ability to catch the clippings or allow them to fall back onto the lawn. In addition, these mowers mulch the clippings by recycling them inside the deck several times, allowing the blade to chop them up smaller and smaller. We recommend allowing the mulched clippings to return to the lawn. When these finely chopped clippings are allowed to return to the lawn, they do provide essential nutrients. Even so, some customers prefer to have the clippings bagged for various reasons. For example, pets may track in the clippings that are allowed to fall back onto the lawn. Bagging these clippings reduces the mess a pet can bring inside. Those with pools may also prefer to have the clippings bagged to reduce the potential of clippings getting into the pool. Whatever your preference, we will accommodate you. Is lawn mowing in Mckinney, TX seasonal or year round? Lawn mowing in Mckinney, TX is seasonal. Each fall, when the temperatures drop and we experience our first hard freeze, our warm season grasses go dormant. This will alleviate the need for lawn mowing services. When this happens, our lawn mowing services cease until the following spring, when the grass awakens and begins to grow. During the off-season, we turn our focus to leaf removal and other general landscape services. What is lawn fertilization in Mckinney, TX? We are the leaders in lawn fertilization in Mckinney, TX. As you know, fertilizer provides essential nutrients to your lawn that promote growth, durability and vitality. If you do not understand how fertilizer works, we will educate you. In addition, our fully trained staff of applicators will constantly assess the needs of your lawn. Furthermore, we will amend your treatment program if problems arise. We use slow release fertilizer that delivers all three essential nutrients. Nitrogen will produce a lush, green top growth. Phosphorous will stimulate root growth resulting in great durability. Potassium will boost the turf’s immunity and protect it from disease. When is it time to fertilize the lawn? Lawn fertilization in Mckinney, TX begins when the grass is actively growing. In North Texas, we fertilize lawns during the months of April through September. Homeowners are tempted to fertilize their lawns too early when home improvement stores begin selling fertilizer products. As a result, many homeowners apply fertilizer too soon. This leads to chemical waste and poor results. Wait until the outside temperature is well into the 80’s before fertilizing your lawn. Lawn fertilization in Mckinney, TX is our specialty. Our 8 round annual lawn treatment program includes 4 slow release fertilizer applications during the spring, summer and early fall. Is fertilizer all the lawn needs? Very simply, no. There are several other cultural practices that go hand in hand with lawn care. First, all fertilizer must be watered in with a sufficient amount of rainfall or irrigation. We recommend following all fertilizer applications with at least .5 inch of rainfall or irrigation. As a result, the fertilizer is moved into the soil where it becomes activated. We will provide proper watering techniques and recommendations for the best results year round. Second, mowing the lawn at the proper height helps promote a healthy lawn. During the spring and fall, lawns respond favorably when cut at a shorter length due to lower temperatures. However, during the heat of summer, we instruct our customers to raise the mower decks to allow for a longer cut. The longer grass protects the top soil from the direct sunlight and minimizes the effects of drought conditions. Please check your city’s website for the most recent and relevant watering guidelines and restrictions. For lawn fertilization in Mckinney, TX, please visit https://www.mckinneytexas.org/511/Outdoor-Water-Use. Does fertilizer fix all lawn problems? Although proper fertilization is important, it does not always solve all lawn problems. We only recommend lawn fertilization in Mckinney, TX during the active growing season when the lawn is healthy and free of pest and disease. The active growing season includes the months of April, May, June, July, August and September. If the lawn shows signs of stress from pest or disease, fertilization should be postponed until the pest or disease has been identified and eradicated. We provide preventative and curative common lawn pest treatments, such as grubs, chinch bugs and mites. We also help identify common lawn diseases, such as brown patch and other fungus based diseases. What is the easiest way to fertilize your lawn? For your convenience, we now offer a no contract lawn treatment program. 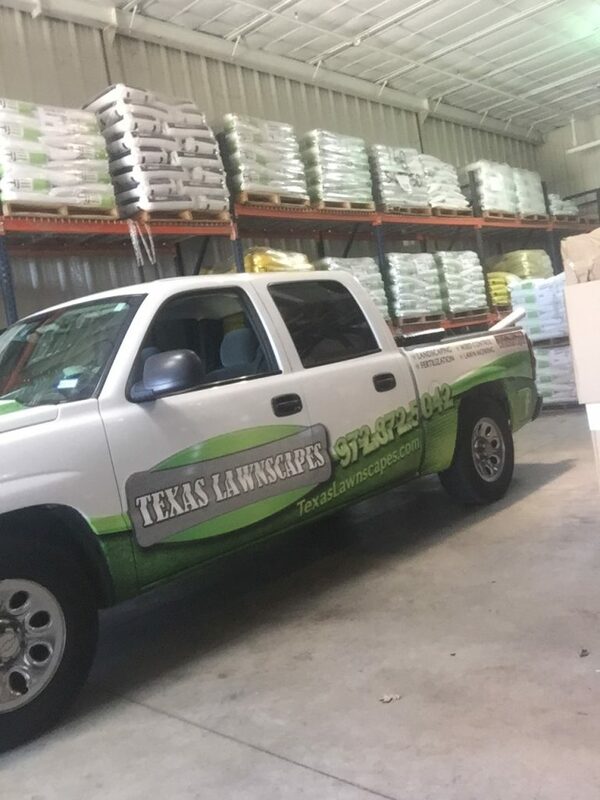 Call us today at 972-872-5042 or request an estimate at https://www.texaslawnscapes.com. We will respond immediately during normal business hours. In most cases, we can begin service the same day. We make appointments available to all customers the request an on site meeting and lawn assessment. We are proud to offer services related to turf fertilization and weed control in Mckinney, TX. We will kill all of your weeds, grow the thickest and greenest turf possible and give you the curb appeal you cannot achieve on your own. It all begins with our 100% Guarantee, Turf Fertilization and Weed Control in Mckinney, TX. 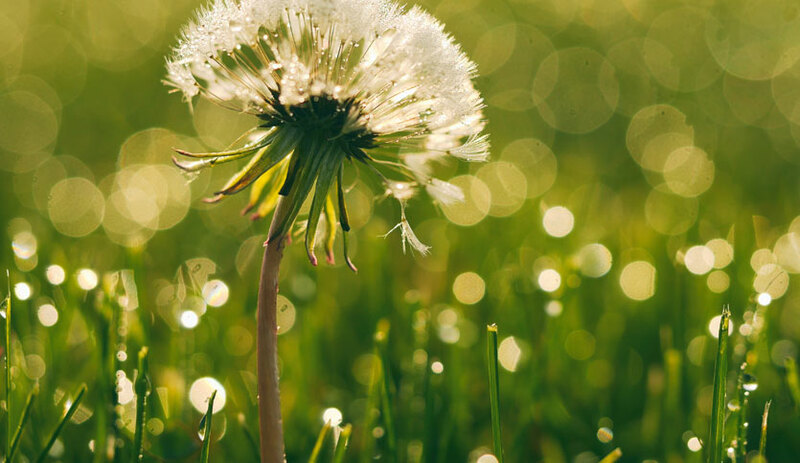 Our pre-emergent herbicide is your lawn’s first defense against weeds. In order to apply a strong barrier against weeds, we apply our products at the proper rates. Because we use the best products on the market, they will have a residual effect lasting several months. Opposite to popular belief, we can apply pre-emergent during any season. All applications in the treatment program include the spot treatment of existing, visible weeds. If you are a new customer, we will apply a pre-emergent herbicide no matter what time of the year you begin. Furthermore, we will start eliminating existing weeds with our spot treatment products. We will kill all weeds. Period. Call or email us to get more information. We will provide you with pricing and details of the service. Most noteworthy, we will come meet you and assess your lawn needs at your request. As a result, we will provide you with the best plan as it relates to your lawn care. Seems like we are the best choice for you!